The Inishowen 100 scenic tourist drive is also a great 100 mile (160 km) cycle route with a sign posted trail around the entire breathtaking Inishowen Peninsula. The cycling route passes most of the top tourist attractions and places of interest on the peninsula and there are great things to do at every turn from hiking to cycling, golf to fishing and from blue flag beaches to Whale watching and basking shark trips. It can be completed in a single and difficult day but is best enjoyed planning a cycle over several days in order to visit some great attractions and enjoy the scenery. 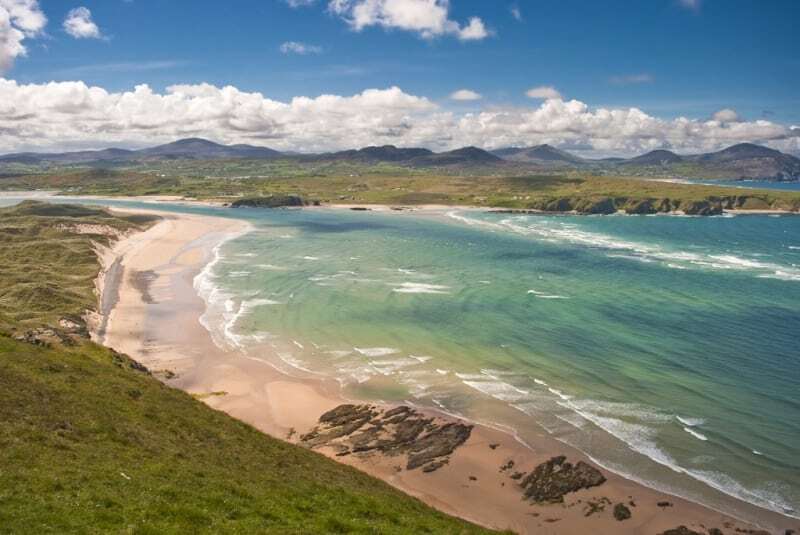 It was voted one of Irelands Top 10 Scenic Routes in the Irish Independent top 10 list by Pol O'Conghaile in 2010. There is also an alternative Inishowen 100 route which uses more back roads which are more suited to cycling with less traffic. It driving route officially starts at Bridgend but you can join the route at any point really, from outside your hotel or guest house. I have started this cycle route in Muff a small village only 8km to the east of Bridgend. 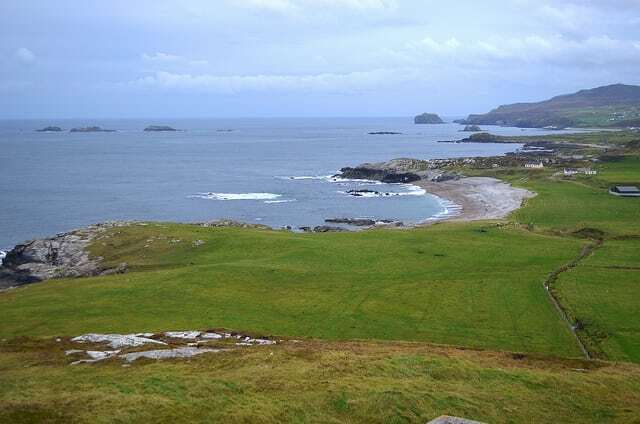 From Muff head west to Bridgend, where the first leg of the coastal route is along the coast of Lough Swilly passing Inch Island, Fahan (a blue flag beach), Fahan 18-hole Golf Course, Buncrana Town, Tullyarvan Mill (An interpretive centre tracing over 250 years of textile production), Dunree beach, Dunree Fort (military museum) and then turns inland for Mamore Gap (between the Urris Hills and Raghtin More mountain), Leenan Bay, Dunaff, Head, Tullagh Bay (a blue flag beach), through the villages of Clonmany and Ballyliffin and Ballyliffin 18-hole golf course. From Ballyliffin the route passes the Isle of Doagh (famine museum) and onto the larger town of Carndonagh and Malin Town (of tidy town fame), past the spectacular Five Finger Strand and cliff top viewpoint at Knockamany Bens and lastly to Banba's Crown peninsula at Irelands most Northerly point Malin Head. From this northerly point the only way is south ! so off you set passing Culdaff village and Culdaff Bay (yet another Blue Flag beach), the remote Tramone Bay, Kinnagoe Bay beach (unmissable), Lough Foyle and Shroove and onto Greencastle, Moville town, Quigley's Point and the Village of Muff where the journey started. Please see all the great attractions and things to do on our nearby lists.